DAVID LE/Staff photo. 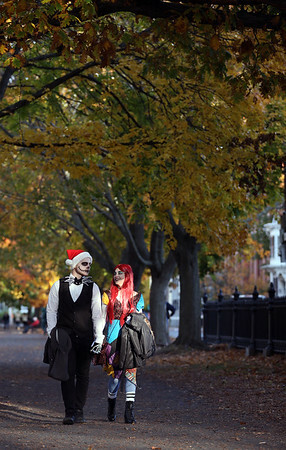 Shane Silverence and Nikki Spano, of Staten Island, NY, walk through Salem Common on their way to the Essex Street Pedestrian Mall on Saturday evening. 10/31/15.